It's not a real chapter, but you can enjoy questions and non-answers nonetheless. Yes, it works fine again when I do Ctrl+0 now. Thanks for the help! LOL Jung can't get away with Sul. DO IT! Since you said to post problems somewhere: I tried using the link you put up on this page, but I keep having problems with the bookmark. I do get translations, but they're placed a few cm below the actual space they should appear. Which makes me unable to read some of them unfortunately. It would be great if it could get fixed soon, but I'll keep reading like this for now anyway. alignement problems are mostly encountered on Firefox, "because" Firefox changed the zoom by default on patch Firefox 20.0 (or later, can't remember). Current fix is to play with CTRL + and CTRL - (zoom shortcuts). I'll try to adress this problem as soon as possible, but it isn't the most urgent thing right now (since people can adjust the zoom, it kinda works ^^). All the chapters from chapter 42 of season 2 onwards are shown as not translated!! Pls could u fix this? I really love cheese in the trap. Thank you for all your hard work! chapter 42 onward? 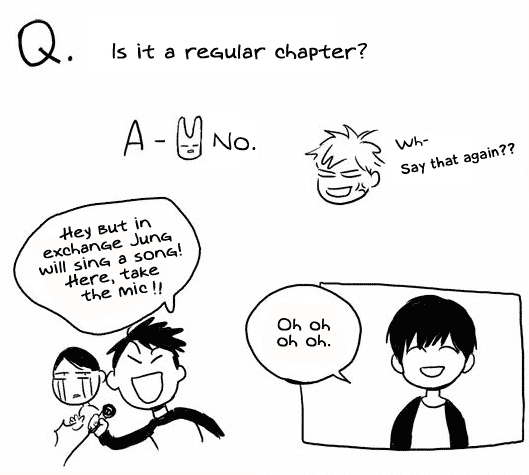 or chapter 48 onward? if chapter 48, please use the bookmark and desactivate the addon for awhile.